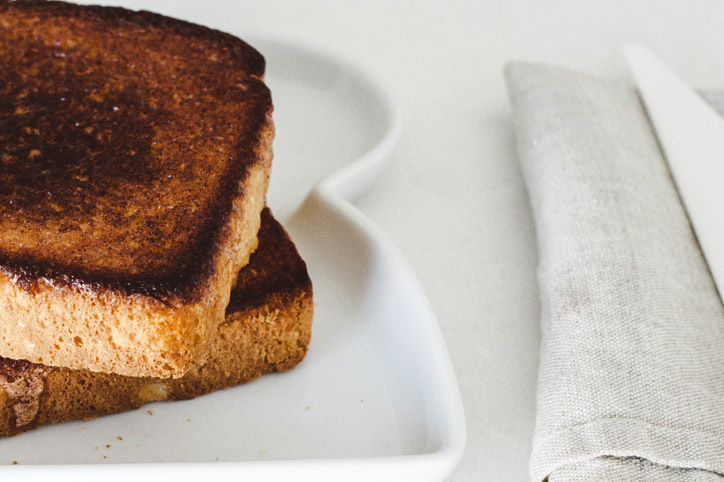 Now that cooler weather is rolling in, I’m on a toast kick. 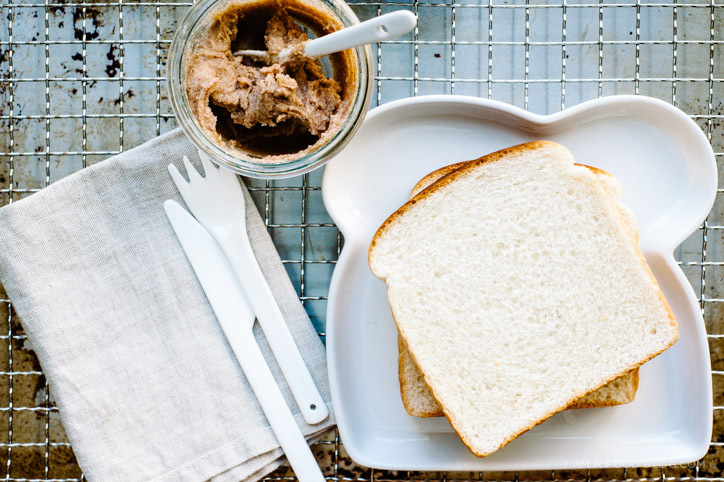 I feel like toast is on a completely different level than plain old bread. I almost feel bad for bread and it’s lack of crispy edges. Whenever I see a loaf of bread at the grocery store I think to myself, “Wow, you would be delicious as a bag of toast! 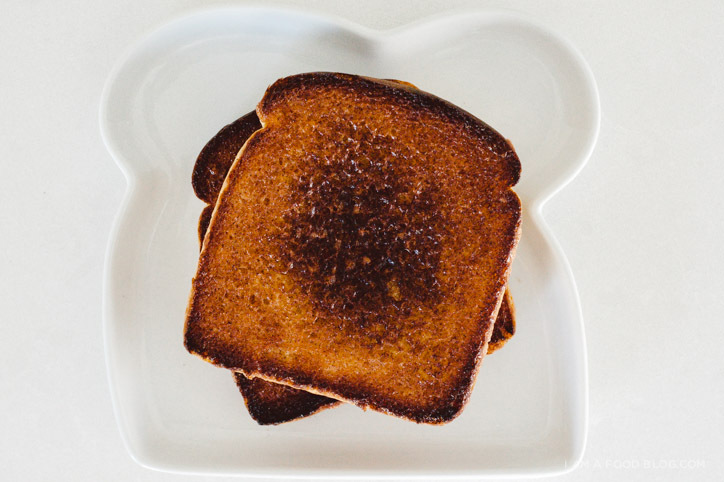 You need some transformative fire.” Toast’s golden brown color, crispiness and ability to melt butter gets me every time. Have you ever read The One Hundred and One Dalmatians by Dodie Smith? I’m pretty sure everyone’s seen the Disney movie at one point in their childhood, but I actually remember reading the novel before seeing the book. There was one chapter in the book that I looked forward to reading every time: “Hot Buttered Toast.” Pongo and Missis were out searching for their puppies and were cold and hungry. A courteous spaniel offered them shelter from the cold as well as piece after piece of hot buttered toast and sweet milky tea. It’s one of those scenes that makes you feel at warm and cozy inside. Warm and cozy is how I feel whenever I eat cinnamon toast, no matter what the weather. There’s just something about cinnamon, butter, sugar and the contrast between toasty, golden brown outsides and fluffy, soft insides. 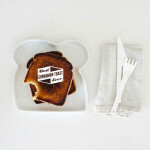 I love cinnamon toast, but apparently I’ve been making it all wrong. 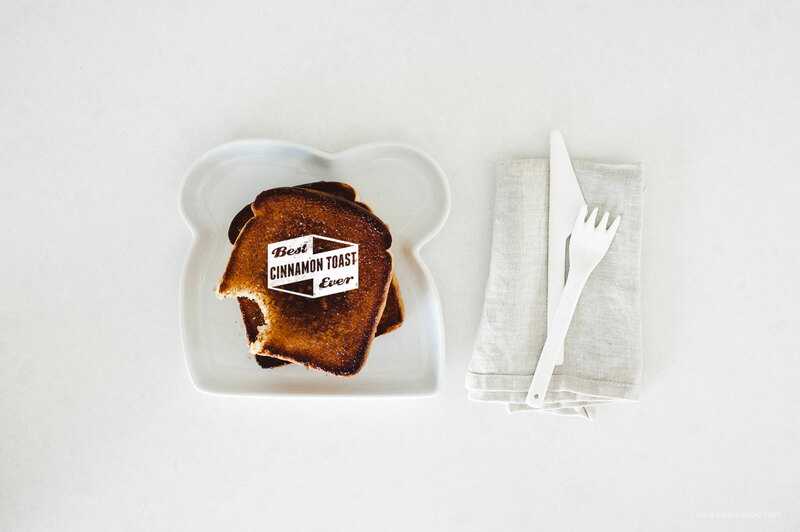 I came across the Pioneer Woman’s informative post about toast other day and it was mind-blowing. 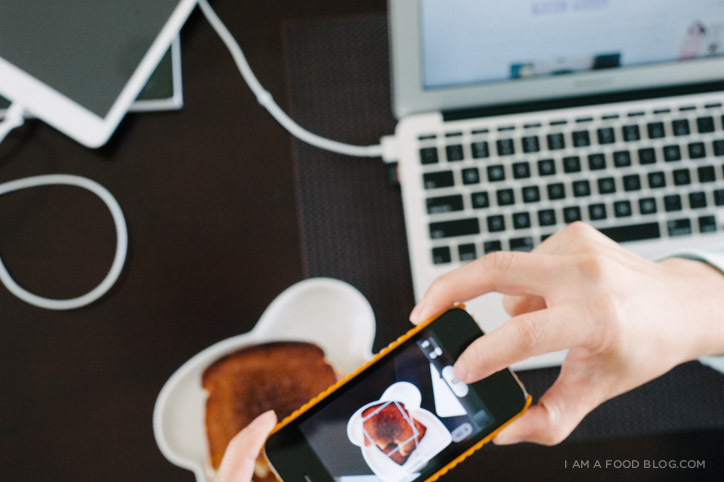 She outlines the 3 classic (wrong) ways of making cinnamon toast. Buttering bread, sprinkling on cinnamon-sugar, toasting. Buttering bread, toasting, sprinkling on cinnamon-sugar. 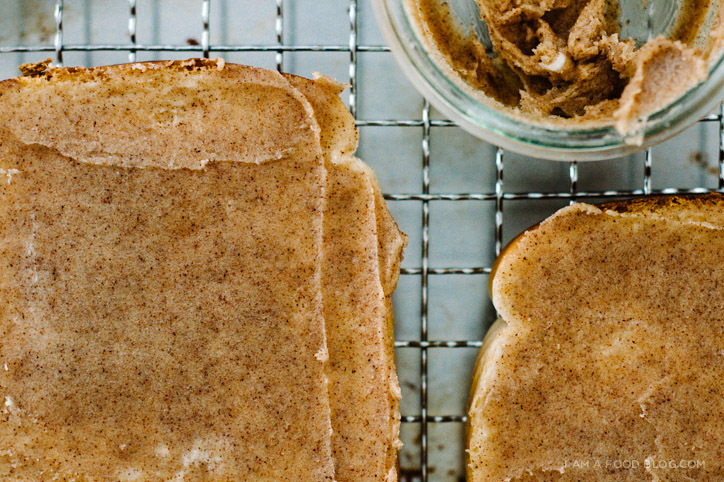 Toasting, buttering, sprinkling on cinnamon-sugar. I’m guilty of number 3. Making cinnamon toast the wrong way results in lack of caramelization, soggy bread and cinnamon-sugar that just falls right off. I made all these varieties of cinnamon toast for a taste test and there is a decided difference between Bad Toast 3 and the Best Ever Cinnamon Toast. Bad Toast 1 is not really all that bad, but Bad Toast 2 and 3 are definitely not worth your time. 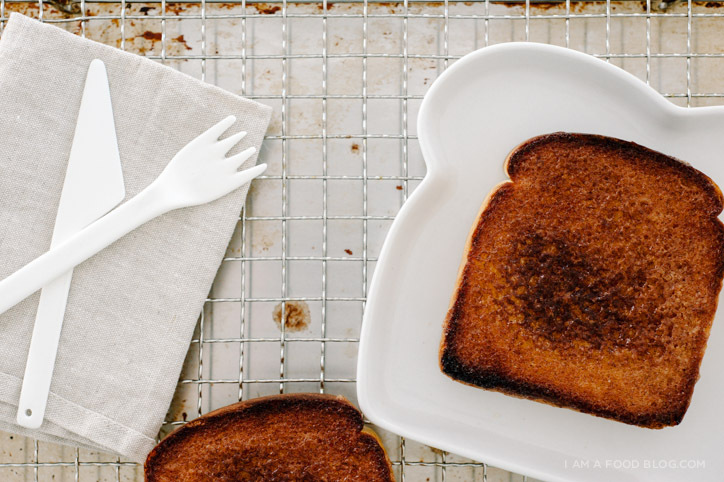 Now that I have seen the cinnamon toast light, I swear, I’m never making cinnamon toast the wrong way again. Cream together the butter, sugar, cinnamon and vanilla. Spread cinnamon butter mixture on the bread making sure to go all the way to the edges. Place the bread on a baking sheet and bake for 10 minutes. Turn the broiler on and broil until golden and bubbling, 1-2 minutes. Enjoy hot! I always do #3 too! Will have to try this and pass it on to my #3 partner-in-crime, my brother. My big brother used to make me cinnamon toast all the time! He’d soften the butter in the microwave and mix in cinnamon and sugar. SO GOOD! Makes me feel like I’m 7 again. I usually do method 3, but I so need to try it this way – sound SO yummy! Wow! I’ve always done #1. This is fantastic! Now I’m going to have to break it to my mom that she’s doing it wrong. Delicious recipie. I’ve used it three times and every time it comes out perfect. If you’re a bagel lover like I am, replace the thick bread with bagels and you will enter a whole new world of soft yet crunchy yet moist. Do you butter both sides?